Mamby on the Beach is this weekend, and just in time for the warm weather. The Midwest hasn’t seen that many hot days, but things are heating up this week and Mamby is about to make it even hotter. This year’s inaugural lineup includes Empire of the Sun, Goldroom, Passion Put, Cut Copy, Royksopp and more. This upbeat and dance-filled beach fest is guaranteed to make you feel like summer is finally here. Of course as with any festival, we want you all to be safe. So we don’t want you to dance and drive. In large cities like Chicago, getting around can prove to be frustrating and expensive anyway. 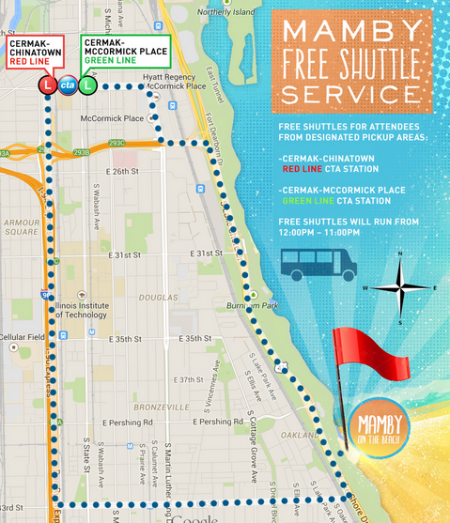 So, the people at Mamby have made it easy for you to get to and from the festival. Shuttles run from 12PM until 11Pm, giving attendees an hour before and after the fest to gather their peeps and head home (or to an after party). 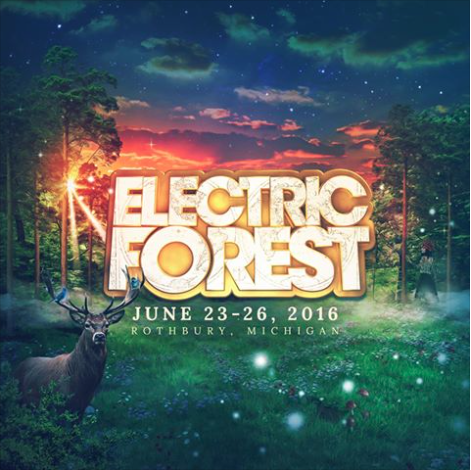 The official Mamby parking lot is located in the 31st Street/McCormick Marshaling Lot and costs only $14. Of course, Ubers, Lyfts and taxis will be available for pick up and drop off at Oakwood Beach, but who wants to pay for that?! Check out the map below and we’ll see you at the Beach!